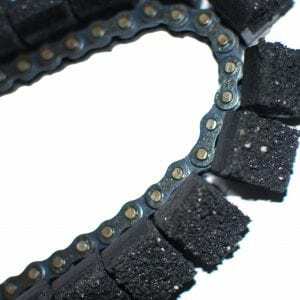 The Cues Style 38 Cleat Gritted Tracks- #35 Chain (Pair) are the best replacement option for your existing Cues tracks. The gritted tracks attach to your sewer camera transporter, so it can move within your clients’ pipe’s with ease. It is vital for your sewer camera transporter to be able to move through pipes efficiently to identify a variety of problems like clogs, cracks, fractures, blockages, tree root invasion, breaks, corrosion, and more. 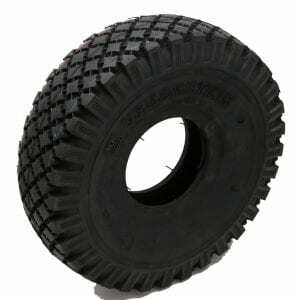 Our products at TruGrit Traction are made from high-quality materials that are built to last. 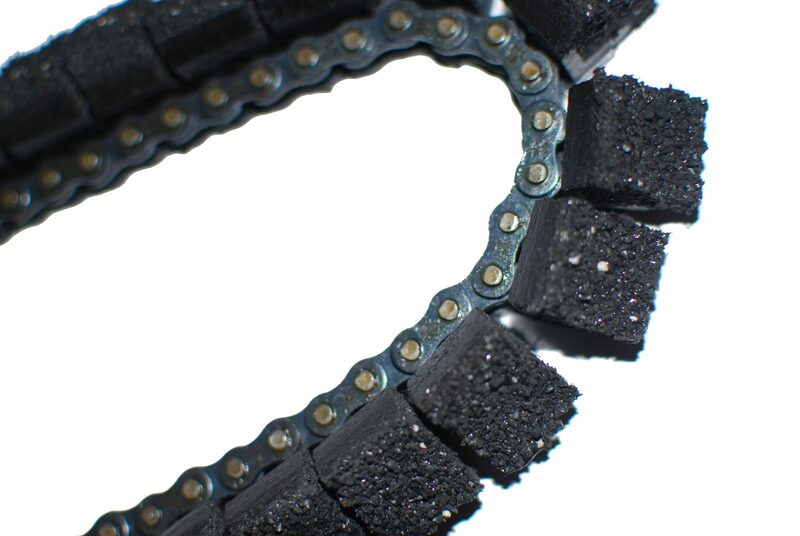 The Cues Style 38 Cleat Gritted Tracks- #35 Chain (Pair) is an essential part of your sewer crawler because it allows it to not lose traction inside of pipes filled with grease, scale, buildup, and debris. All of the equipment you purchase from out company is long-lasting and allow you to boost the credibility of your pipe business. 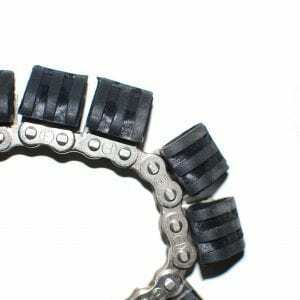 The Cues Style 38 Cleat Gritted Tracks- #35 Chain (Pair) are an affordable option for the replacement of your gritted tracks, and they come in a pair. This product pertains to: Sewer Inspection Replacement Parts, Sewer Crawlers Gritted Track Replacements, Sewer Crawler Tracks Online, CUES Style Camera Transporter Part Replacements, Sewer Inspection Equipment, Residential Pipe Inspection Equipment, Commercial Pipe Inspection Equipment, Large Diameter Pipe Equipment, Gritted Track Replacement Parts, Drain Inspection Equipment Parts, Trenchless Camera Inspection Equipment, Sewer and Drain Camera Transporter Track Chains. Completely changed my cues camera, it will crawl threw anything now. Made 800ft in 1 stretch with no assistance. This is a game changer!! !